A reading of the Yule Horror by H.P. Lovecraft. Happy Holidays! In this weeks episode I will be discussing Batman: Noel by Lee Bermejo. While Batman is not a pulp character, he is the modern day descendant of the classic pulp heroes. This original graphic novel was published by DC Comics in 2011. 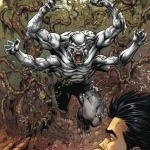 Bermejo serves as both the illustrator and writer, with Barbara Ciardo on colors and Todd Klein on letters. This story is inspired by A Christmas Carol by Charles Dickens, with Batman and his supporting cast taking up roles akin to the Christmas Classic. Batman takes up the role of Scrooge. This is a special bonus episode in celebration of Wold Newton Day, December 13th. 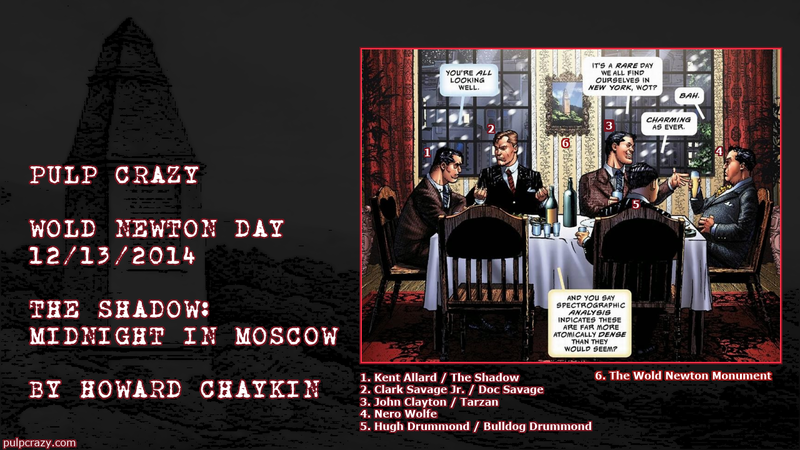 In celebration of Wold Newton Day 2014, I’ll be discussing The Shadow: Midnight in Moscow written and illustrated by Howard Chaykin from Dynamite Entertainment. 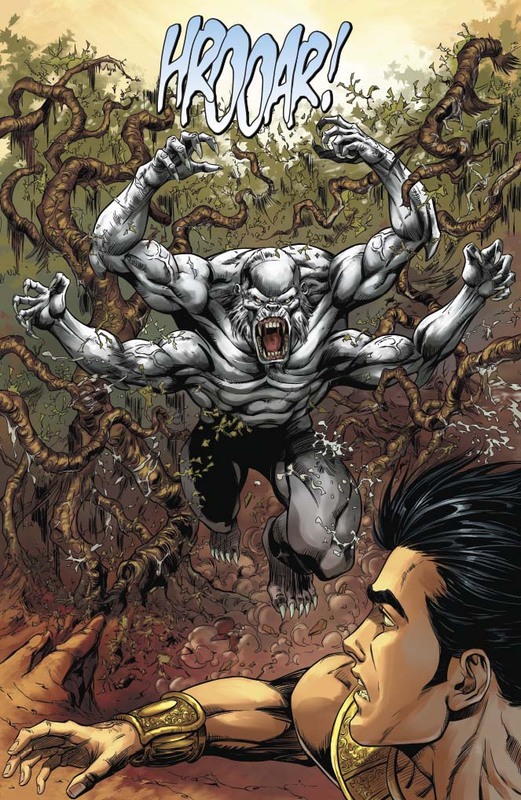 This comic book mini series is notable as being the first overt reference to Philip Jose Farmer’s Wold Newton Family concept in comic book format. The series also marks Howard Chaykin’s return to the Shadow since his landmark 1986 mini series at DC which revitalized the character. Midnight in Moscow begins on January 31, 1949 and the rest of the story takes place in the early days of 1950, where as Chaykin’s 1986 mini series took place in contemporary times. Midnight in Moscow can be placed in the Wold Newton Universe. Midnight in Moscow is a prelude to the 1986 series, so by extension the 1986 series can also be thought of as being in the Wold Newton Universe as well if one wishes. This week Pulp Crazy will be getting into the Christmas Spirit with an Old Time Radio episode starring a pulp character. Tarzan, Lord of the Jungle. This particular episode is titled Congo Christmas and it first aired on 12/20/1951. This Christmas Themed episode takes place before the Christmas holiday, with Tarzan and his companian N’Kima the monkey vising the village of Karmiki, . Besides the local tribe, the village is home to a Christian Mission run by the Reverend Collier. The beliefs of Christianity are at odds with the native religion led by the High Priest of Neomopo the Moon God. Things are further complicated when two younger members of the tribe from different religions fall in love, and wish to marry. Each of their respective religions are resistant to the marriage. During this conflict, the Eye of Neomopo, a brilliant blue sapphire goes missing, further complicating the climate inside the village. Ron Marz is no stranger to comic book readers. Looking at his comicbookdb profile he’s almost run the alphabetical gamut as a writer. Seriously, he’s just missing series with titles starting with K, L, and Y. While his name is most closely associated with Green Lantern (Kyle Rayner to be precise), he’s also written titles featuring pulp or pulp style characters. These include the Batman/Tarzan: Claws of the Cat-Woman mini for DC, Hellboy: Weird Tales #5 for Dark Horse, Conan: The Isle of No Return mini from Dark Horse, The Phantom Annual for Moonstone, and Red Sonja #30 for Dynamite Comics. His recent foray into the pulp comics world was the mash-up The Shadow Over Innsmouth from Dynamite Entertainment. 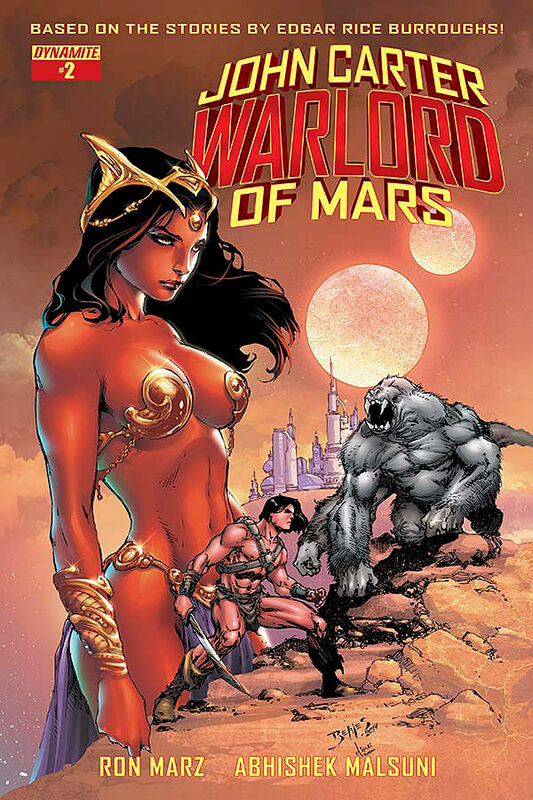 A trip to Barsoom is currently in the cards for Ron with John Carter: Warlord of Mars from Dynamite Entertainment. Dynamite Entertainment and ERB Inc have reached a mutually beneficial partnership in publishing stories based on the worlds of Edgar Rice Burroughs. Hence the John Carter name in the title. 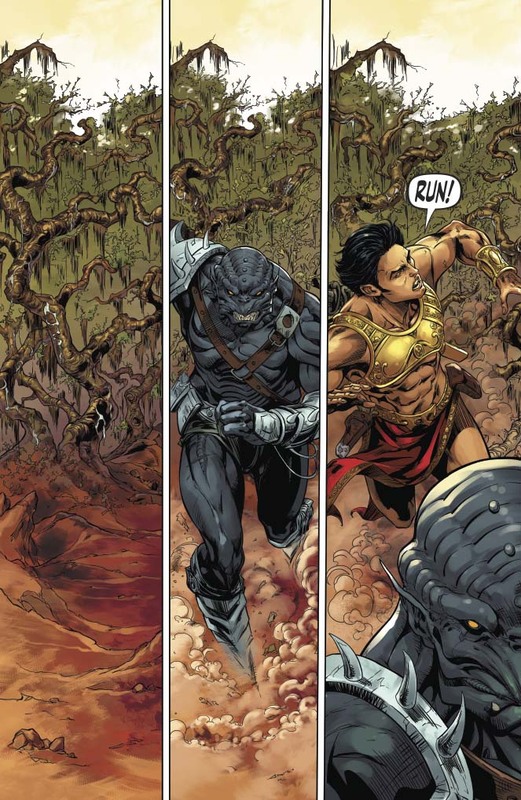 John Carter: Warlord of Mars #1 hit stores last month in November. Issue #2 is due out this Wednesday November 10th. Ron graciously answered some of Pulp Crazy’s questions about the new series. Pulp Crazy: Ron, first let me say thanks for agreeing to the interview during what is no doubt a very busy time. I’ll just jump right into it things. First, I wanted to ask you about The Shadow Over Innsmouth one-shot from Dynamite Entertainment. You wrote that very much in the spirit of The Shadow pulp magazines, without using any of the supernatural elements developed for the radio show or comic books. Was that a conscious effort? Ron Marz: I wanted to stick with what was essentially a crime story with supernatural overtones. Obviously if you actually bring Cthulhu into the story, the Shadow isn’t really the dominant force in the plot anymore. But more than that, I really wanted to stick to the elements that are in the original “Innsmouth” story. The Elder Gods don’t really rise from the depths and make a big appearance in that story, it’s much more of a mysterious, moody piece. PC: Speaking of Pulps, when did you first discover Edgar Rice Burroughs and Barsoom? What is your favorite Edgar Rice Burroughs book? Your favorite Edgar Rice Burroughs character? RM: I discovered all of the Burroughs stuff at just the right age, maybe 11 or 12, and devoured all of it. I think the stuff that you latch onto at that magic age is the stuff that stays with you for the rest of your life. I don’t know that I have one specific favorite book, but the Mars books are my favorite series. And if I had to pick one character as a favorite, I suppose it would be Tarzan, just because he appears in so many more adventures than John Carter. 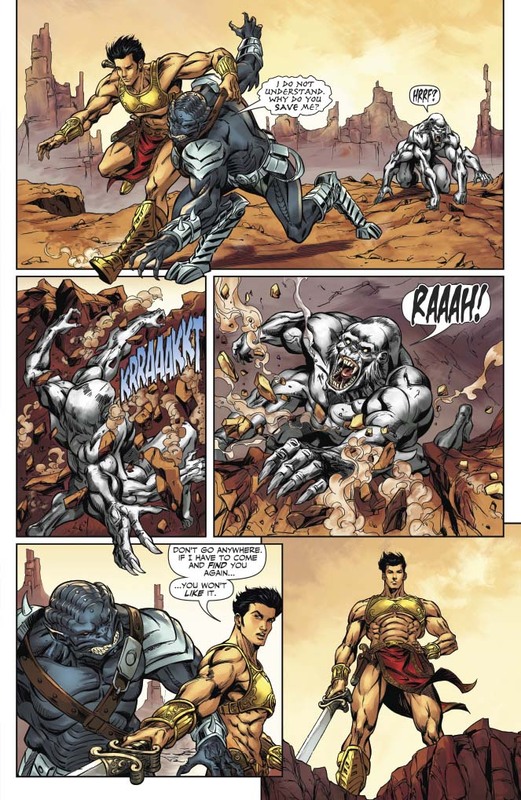 PC: John Carter: Warlord of Mars, how are you approaching this new series continuity wise? Is it set within a certain period of the Edgar Rice Burroughs original stories, or is this in a new continuity? Can you tease at the plot for the first arc? RM: I’m not getting overly precious with the continuity in terms of exactly when these stories take place, other than the “classic” period with John and Dejah front and center. Continuity should be a tool a writer uses, not the other way around. I wanted to do a big story for the first arc, so we’re jumping in with a six-issue storyline initially. One of my main goals, in addition to firmly establishing the characters and setting, is to introduce a villain who’s actually worthy of John Carter’s prowess. So in the first issue, we meet Captain Joshua Clark, a Union officer, who is in many ways John Carter’s complete opposite number. 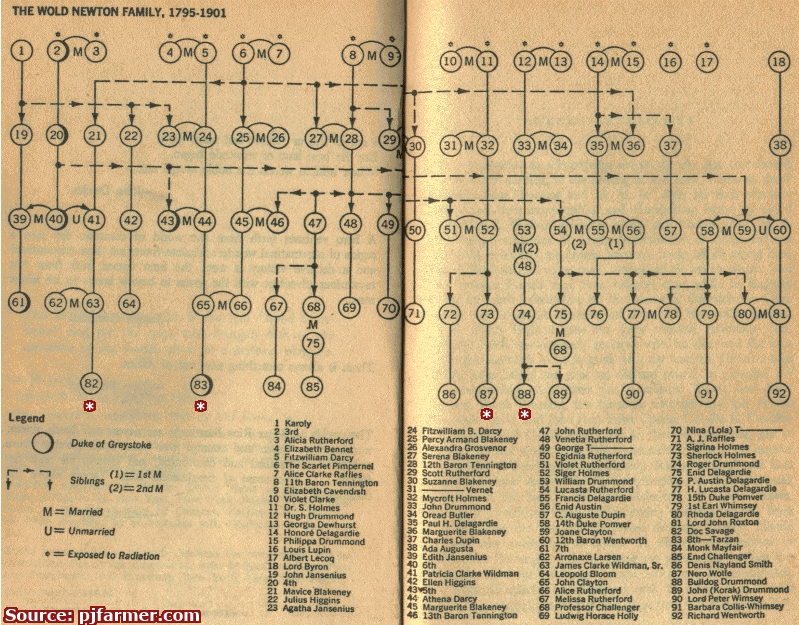 PC: Who really is John Carter? One big mystery has always been John Carter’s past. In the original stories he never recalled his childhood. As long as he can remember he has been a fighting man in his physical prime. Do you plan to address this in the new series? RM: You know, I’ve toyed with the idea of exploring that a bit, but so far I keep coming back to the notion that sometimes it’s good to let a mystery remain a mystery. I think I liked Wolverine better when we didn’t know his past, when his “origin” hadn’t been revealed. Not all stories have to be told. PC: The covers feature John Carter and Dejah Thoris quite prominently, as well as Tars Tarkas and Woola. Can you give us an idea of who the main cast will be? RM: You just named them. As far as I’m concerned, those are the characters that the audience wants to read about, and they’re certainly the characters that I want to write about. It’s the same as when I wrote “Star Wars” comics for Dark Horse. I wanted to write stories about Luke and Han and Leia and Darth Vader, not the third Storm Trooper on the left. PC: Starting with the fourth book in the series, John Carter takes a backseat to new Barsoomian heroes. Will Carthoris, Thuvia and Kantos Kan play any roles? I have to admit my favorite character is Gahan of Gahol, from The Chessmen of Mars, any plans for him to show up? RM: I’d like to eventually work in all those characters, but my plans for the foreseeable future are to concentrate on John, Dejah and Tars. Honestly, I’ve wanted to write these characters since I was 11 years old, so I’m going to make them my focus. PC: I hear you are putting the War into Warlord when it comes to this new series. Can you describe the tone of the book? Will this be written as story arcs or serialized single issue stories? RM: The original novels are full of action — chase scenes, escapes, sword fights. The comics are going to be action-oriented as well. I don’t think anyone is showing up to see John and Dejah have tea. I’m approaching this in much the same manner that I approach anything that I write. It’s all meant to be character-driven, and visually appealing. These are comics. If we’re not giving you something interesting and exciting to look at, you might as well go read a book without any pictures. My plan is to alternate between longer arcs and shorter ones, with some single-issue stories thrown in as well. PC: What is it like not only Dynamite Entertainment, but also Edgar Rice Buroughs Inc? Can you give us an idea of how the creative process goes? Do both entities have to sign off on plots and story ideas, as well as the finished product? RM: Both Dynamite and Edgar Rice Burroughs, Inc., have given me a pretty free hand with these stories. I have a relationship with ERB, Inc. already, since I’m writing a couple of weekly strips for their website. 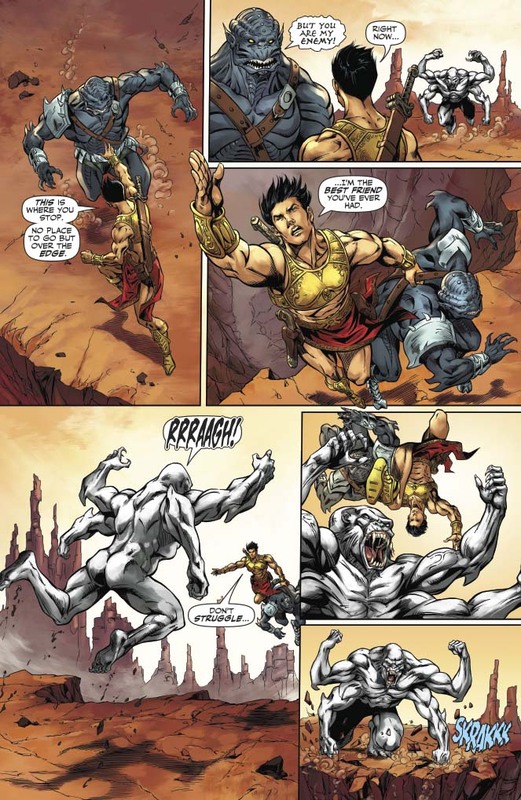 I’m writing “Korak,” with art by Rick Leonardi, and “The Mucker,” with art by Lee Moder, and coloring on both by Neeraj Menon. 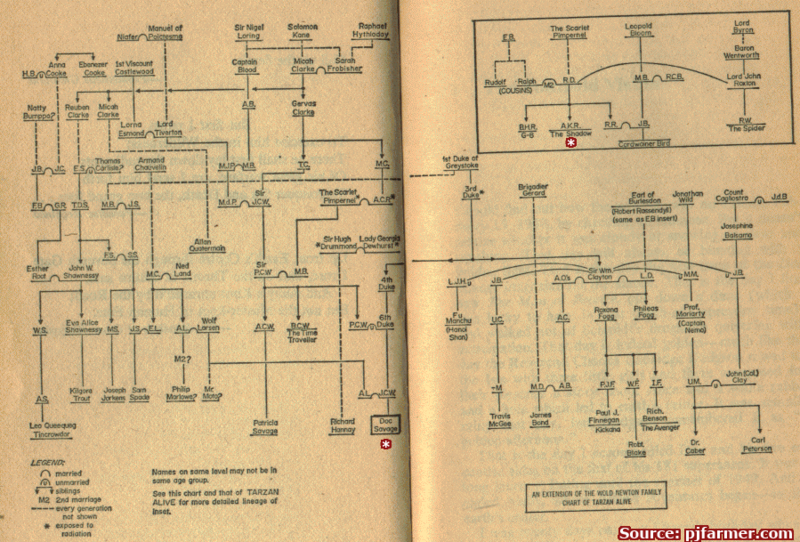 The work of Burroughs played a huge part in me wanting to become a writer. So I feel like I’m repaying some of that debt by working on these projects. Being trusted to follow the footsteps of Edgar Rice Burroughs is absolutely an honor. PC: You are working with Abhishek Malsuni on John Carter: Warlord of Mars, how is Barsoom looking through his lens? What was your first reaction to his interior artwork on the book? RM: I’m thrilled with what Abhishek and the rest of the art team are doing. 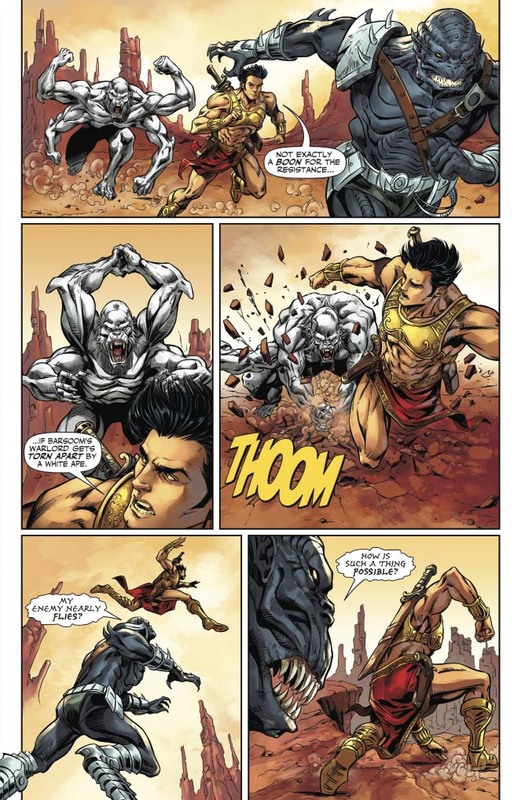 I had worked with Abhishek on some projects for the Indian comics market, and even then I felt like his style would be a great fit for John Carter stories. I feel very fortunate that the whole thing has fallen into place. You’ll have to take my word for it, since only the first issue is out so far, but each issue looks better than the previous one. PC: Anything you want to say to fans of classic Edgar Rice Burroughs characters? Do you think this will be up their alley? RM: I would hope that fans of Edgar Rice Burroughs are already reading the book, and I hope they’re pleased with what we’re doing. I also hope we’re able to lure in readers who haven’t been exposed to this material before. That’s going to be the real test of what we’re doing, reeling in people who haven’t visited Barsoom previously. I want everybody, old fans and new ones alike. Thanks Ron, and congrats on living out one of your childhood dreams! See you on Barsoom! In this weeks episode I’ll be getting into the holiday spirit with Krampusnacht by Josh Reynolds. It’s a short story that features The Royal Occultist, Charles St. Cyprian and his apprentice Ebe Gallowglass. St. Cyprian holds the post of the Royal Occultist, sometimes called the Queen’s Conjurer. 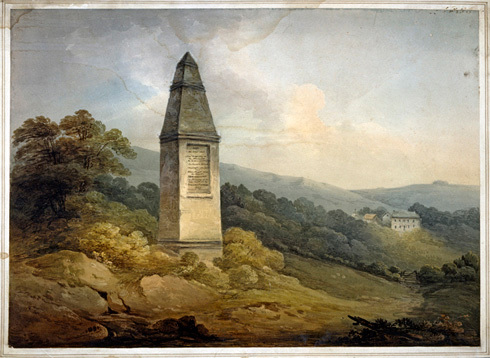 The post was first held by the historical figure, John Dee, during the reign of Queen Elizabeth I. Other notable Royal Occultists include the First Earl of Holderness, as well as Thomas Carnacki the Ghost-Finder. The Royal Occultist is an ongoing series of stories. Reynold’s has written both short fiction and novels based around The Royal Occultist. There have been numerous pieces of short fiction published, with more on the way. The two novels are The White Chapel Demon and the recently released The Jade Suit of Death. As of this episode, the adventures take place between 1913 and 1925. In the three of the earlier tales, St. Cyprian is working alongside Carnicki as his apprentice. However, the meat of the series seems to take place in the early to mid 1920’s. The series definitely falls into the occult detective subsection of Weird Fiction, but it also has ties into the Wold Newton Universe of Philip Jose Farmer.